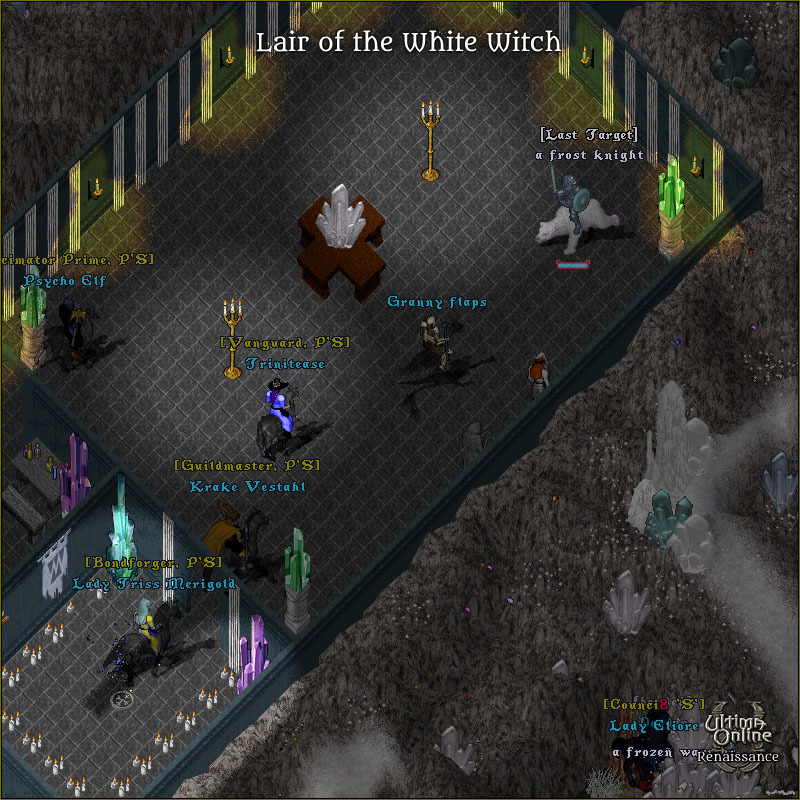 The Lair of the White Witch is one of the unique Renaissance Christmas event dungeons that players can challenge each December. 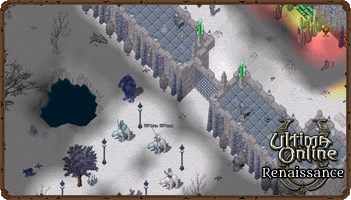 The scroll for this dungeon is only found when completing one of the other base Christmas dungeons. 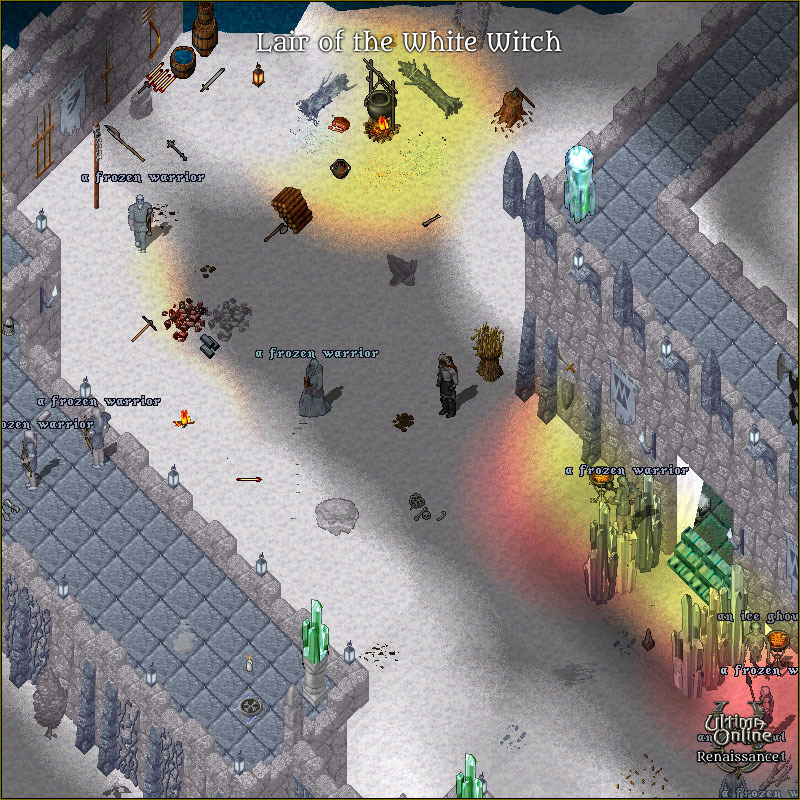 These dungeons were added to the Christmas event in 2017. 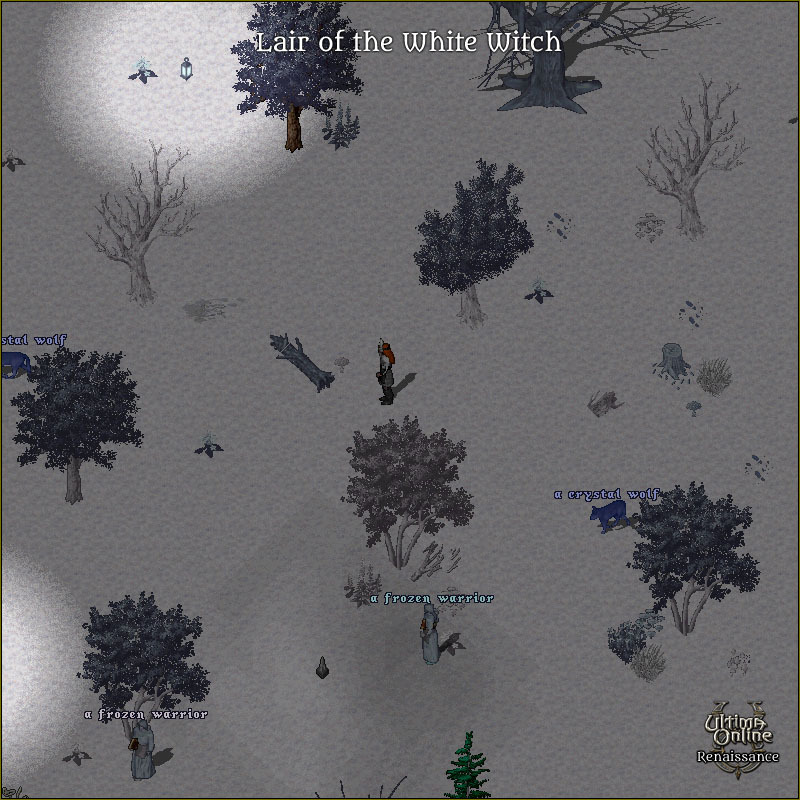 Player begin at the entrance to a frozen forest lit eerily by frozen lanterns spaced throughout. 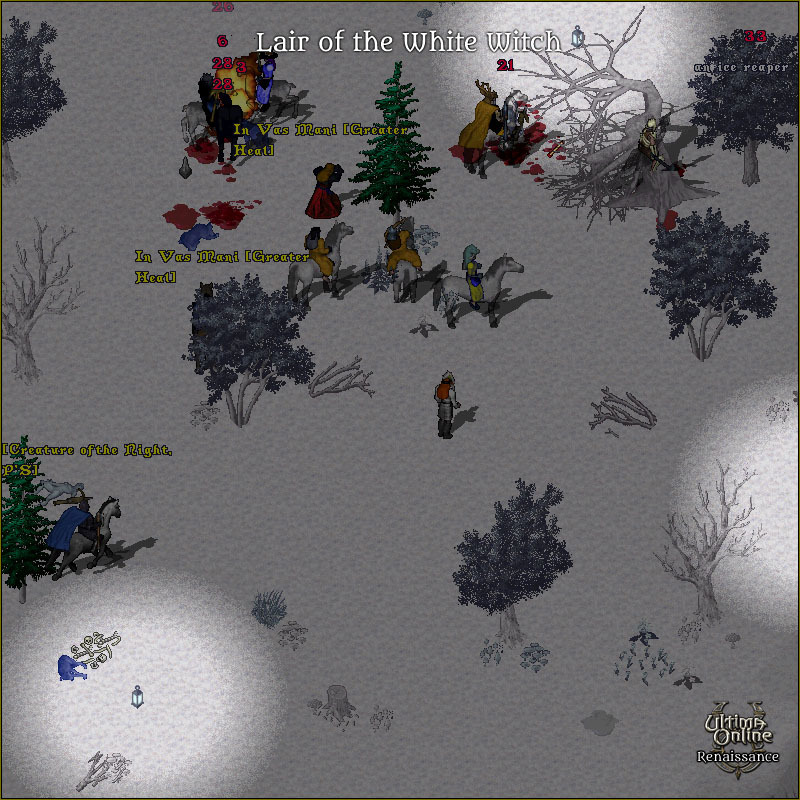 The forest is overrun with a multitude of warriors and other frozen creatures defending a fortress in the distance. 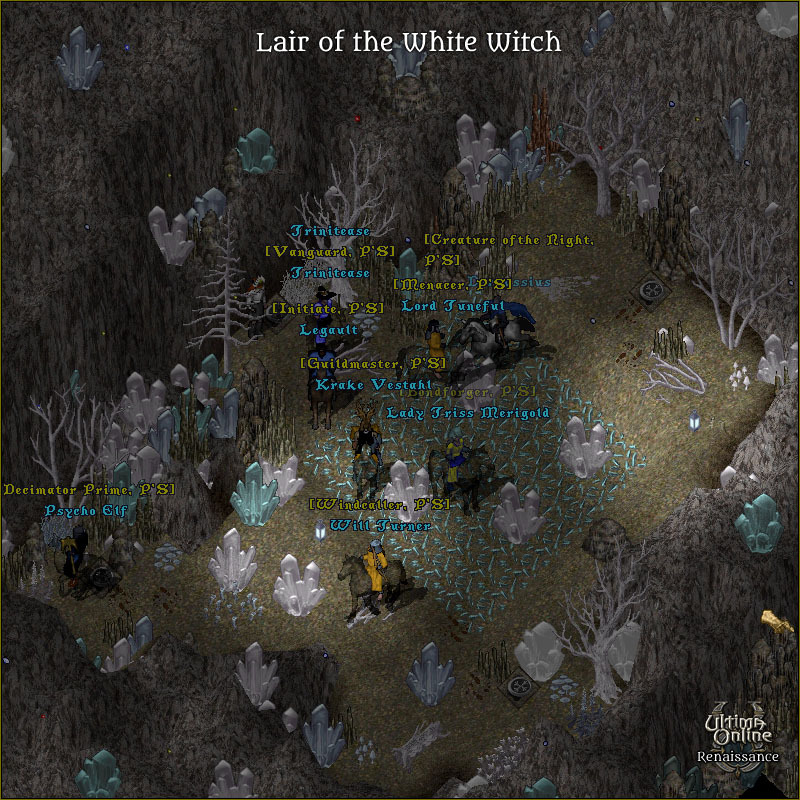 You are tasked with fighting your way to the forest and defeating enough of the witches army to gain access to the fortress. 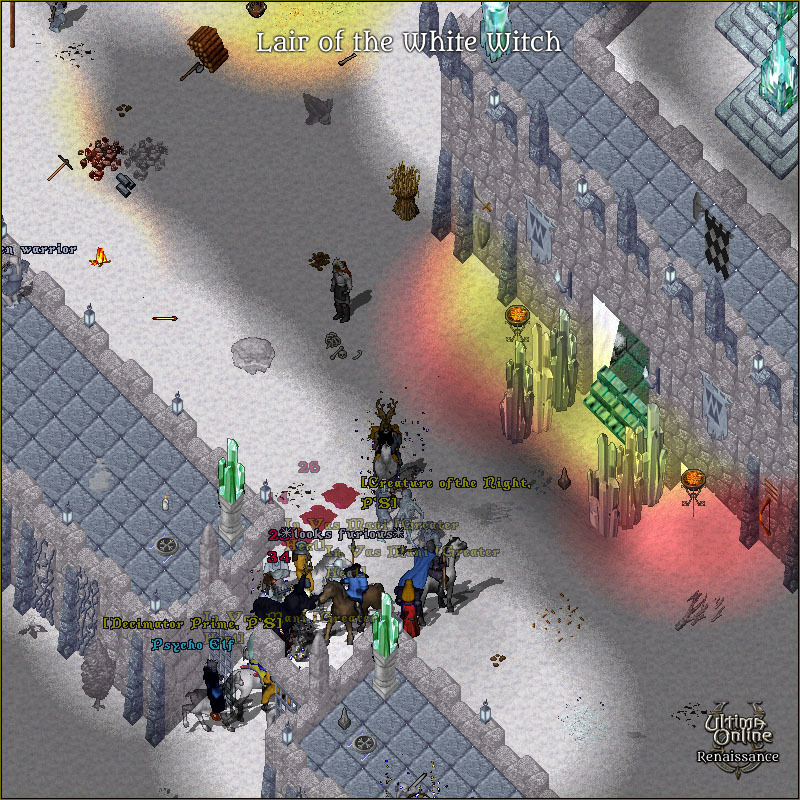 This is no easy task as the fortress is well defended by archers and mages. Once inside and through a magical teleporter players find themselves in a strange magical mine. 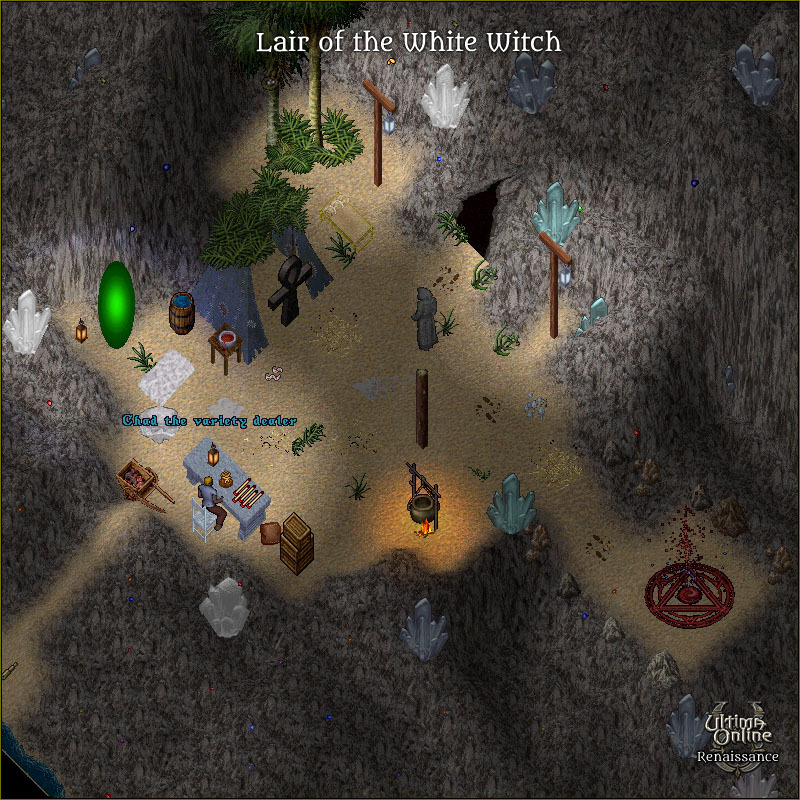 The Mine is guarded by the White Witches vanguard who will summon help as needed and will challenge the players progress forward. 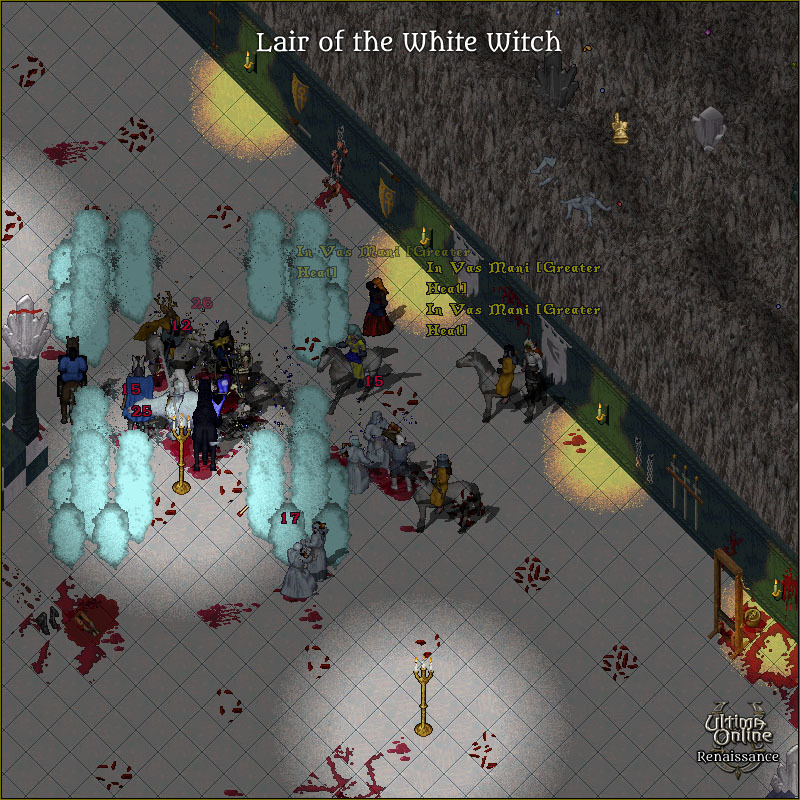 The path to the Witches lair is a confusing one with a maze of teleporters that players have to master before the final showdown with the White Witch. Only the braves and most clever of Britannia's warriors will triumph over this dangerous foe. 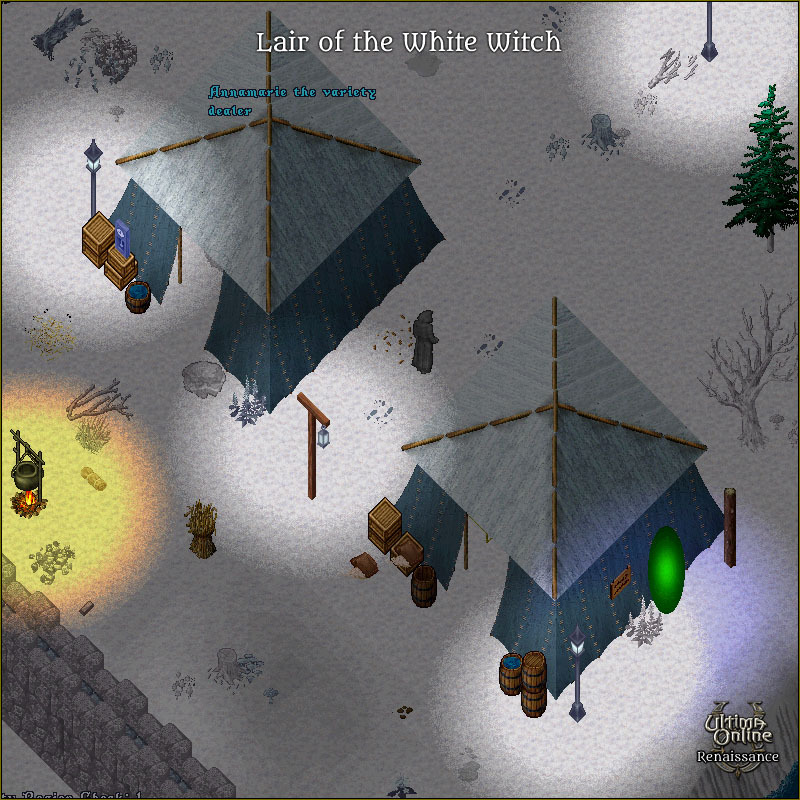 Once the White Witch is defeated the scroll owner will be given a key to the fortress's loot which could have one or more of the following.